At this year's holiday craft party my friends and I made some ornaments. 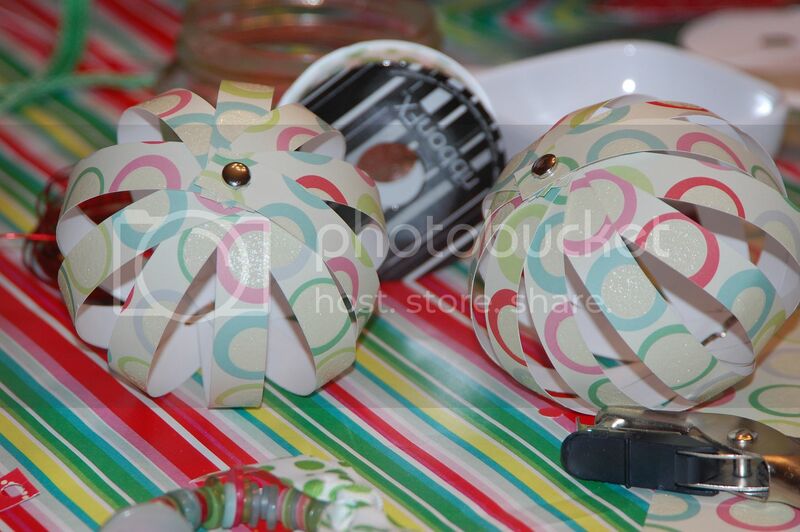 These easy and quick paper globes were part of the fun. You don't need any fancy supplies. Just some good quality card stock paper, ruler, hole punch and brads. Cut some long paper rectangles about 6" in height. Then use a ruler and pencil to make equal width strips. 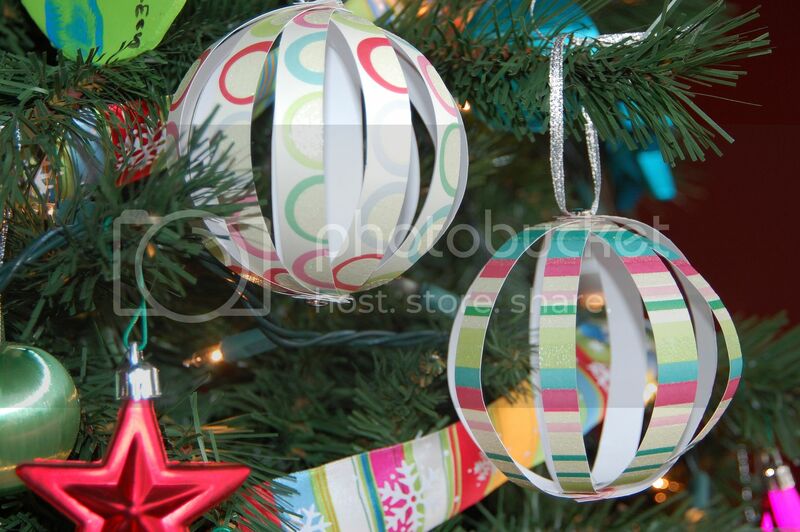 You can use anywhere from 8-12 strips for one ornament. 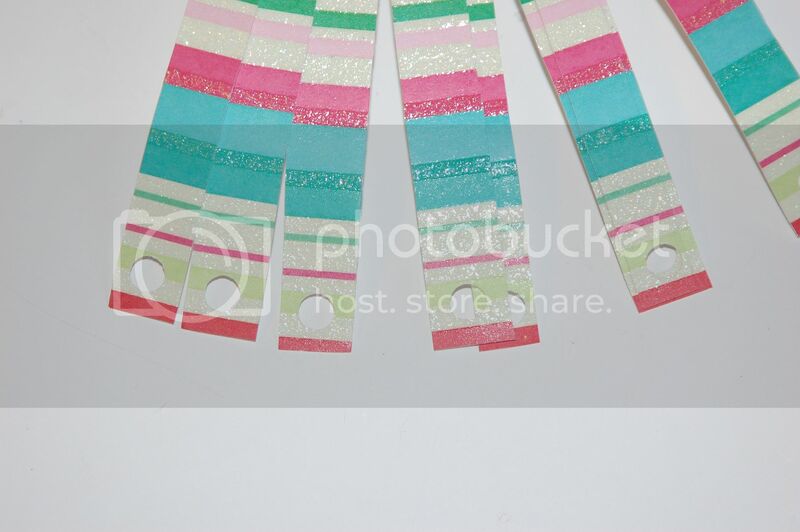 Once strips are cut, punch a hole in each end. Stack the strips and loosely put a medium sized brad in each end. Spread strips out evenly and then tighten your brad. 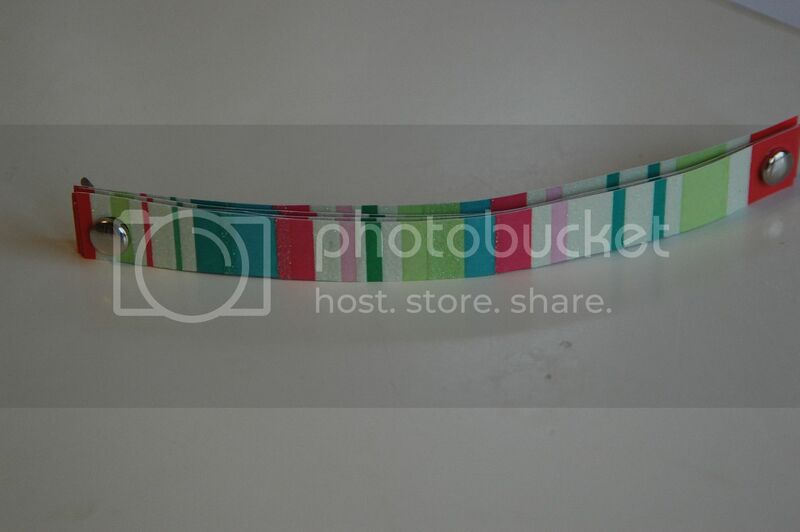 You can slip string or thin ribbon under top brad to hang. This would also be fun to do with kids! You can also use last year's Christmas cards to be super eco-friendly! Thanks! They are so easy! I am going to make some! I just wanted to stop by and tell you that I posted this ornament as one of my favorites on Ucreate! What a great idea! We need more ornaments to fill in our much-bigger-than-normal tree this year and these would be so easy to do.